How much would it cost to add a logo and print or just print on the folder? What happens when you have to keep a bunch of documents safe but don't like holding onto a ton of folders? A briefcase? Sure, but those can be expensive. We have a much simpler solution. Multi-Pocket Folders! Yes, multi-pocket folders can keep any number of important papers and documents safe within the confines of their many pockets. All of your art, files, business documents, everything! No longer will you have to sort through dozens of pages in two locations either, because with so many pockets you can stay organized so easily! Measuring 9 1/2" x 11 5/8", multi-pocket folders come in many different variations to perfectly fit your needs, or paper to be more specific. 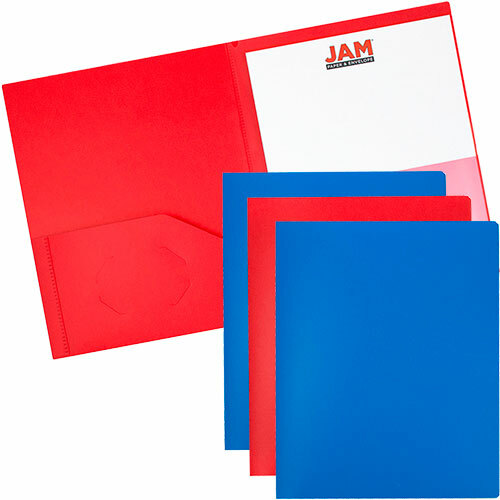 Available in Four-Pocket Folder, Six-Pocket Folder, and Ten-Pocket Folder variants and vibrant Blue and Red colors, Multi-Pocket Folders will work wonders for you. Give them a shot and give your papers the perfect protective slot.